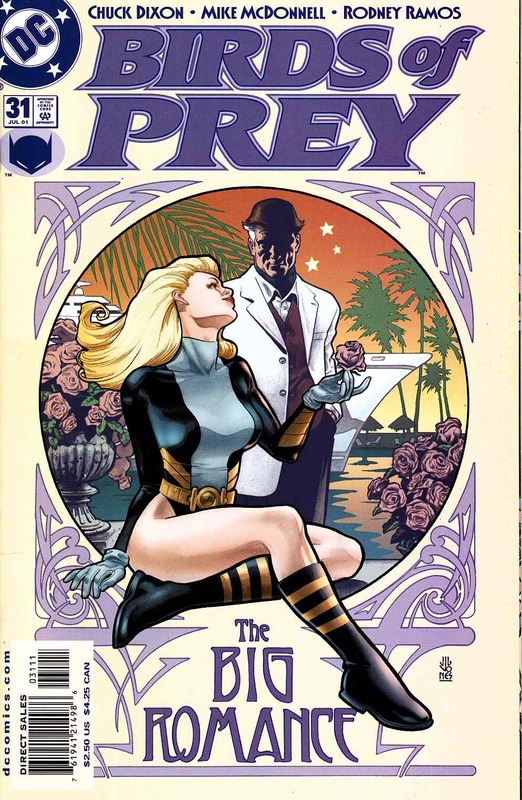 WRITTEN BY CHUCK DIXON; Art by Michael McDonnell & Rodney Ramos. COVER BY J.G. JONES. It's star-crossed love and the gentle art of...stalking your friends?!? Jason Bard, detective extraordinaire, is called in to track the movements of Black Canary. But who called him onto the case, and why? And speaking of Canary, who's that tall, dark stranger she seems to have formed a special friendship with? We'll give you a hint: He's old. He's really, really old. Featuring gorgeous guest-pencils by newcomer Michael McDonnell.